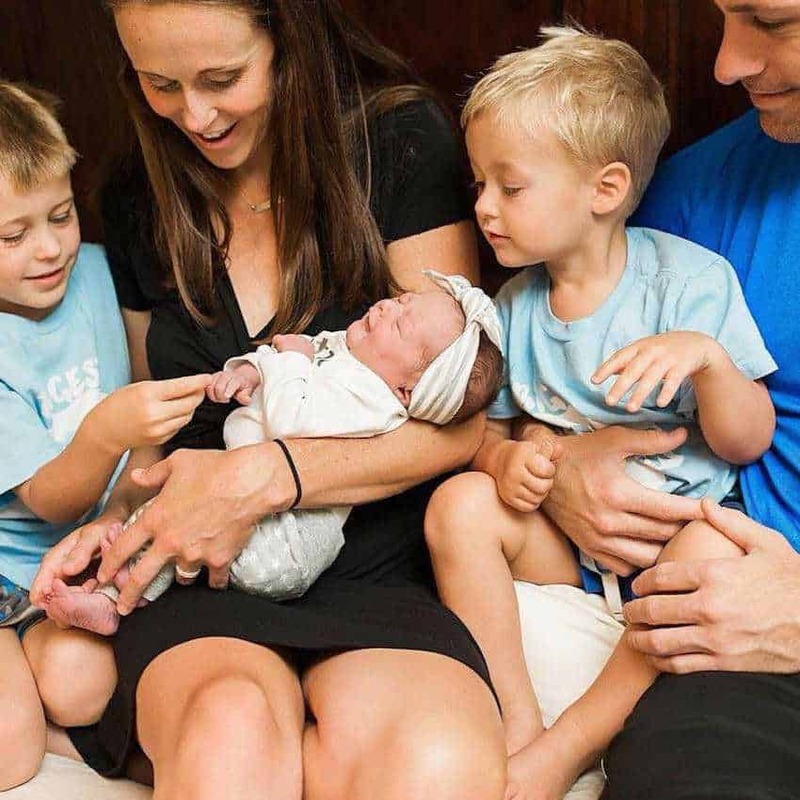 In June 2018, Brooke Ellington gave birth to a baby daughter in her home in Midland, Texas. 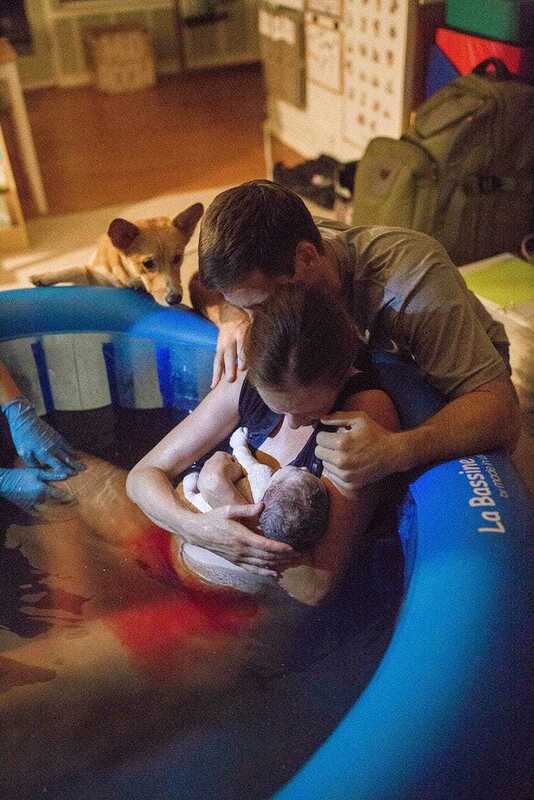 She and her husband had planned a water birth, so a birthing pool was set up in the family living room. They also employed a photographer to capture the wonderful moments surrounding the birth. 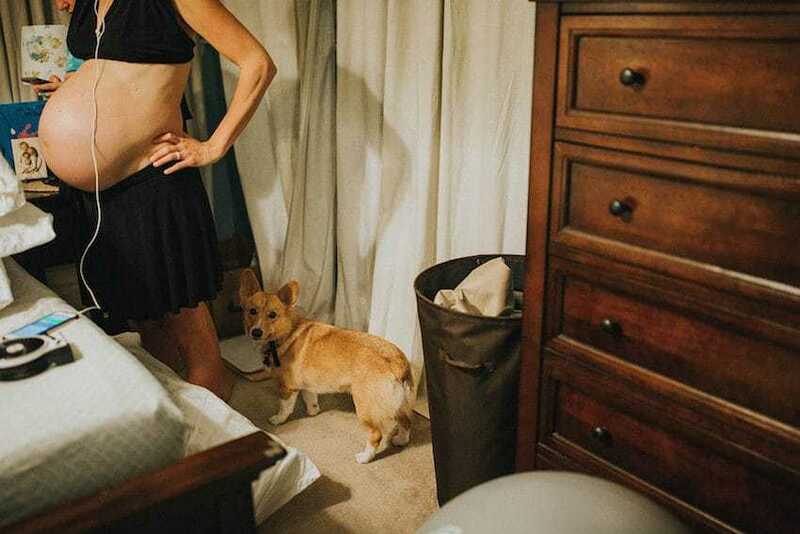 But when the photographer handed Brooke the finished photographs, she realized that she had an additional birthing partner watching over her through it all. 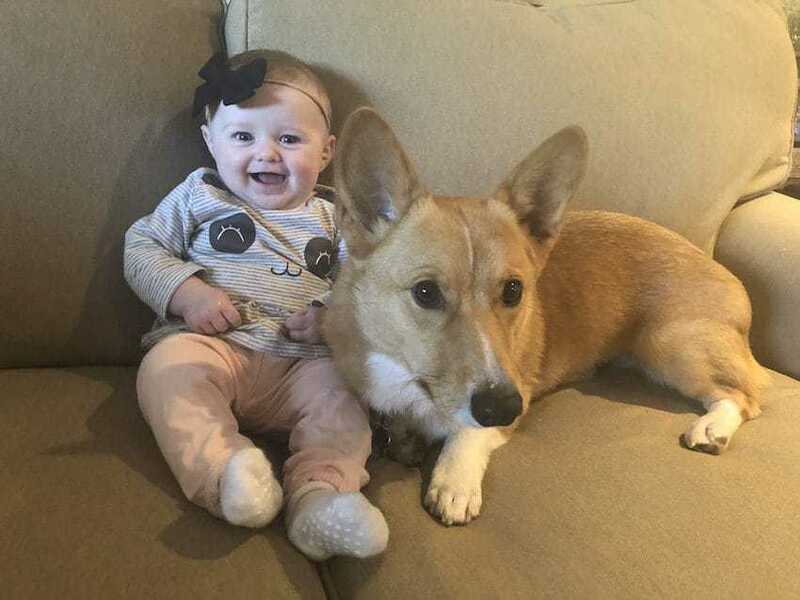 It became clear from the amazing photos that 1½-year-old corgi, Ranger, had been watching over the family throughout the home birth. Brooke is a full-time mom to two young boys, Boone and Boyd. Additionally, she is a part-time doula, acting as a birthing companion for other women. She and her husband, Steven, couldn’t wait to welcome their first daughter, Berkley, into the world. They hired photographer Kristin Waner to capture the birth of Berkley. But Kristin wound up also capturing the beauty of another important family member. 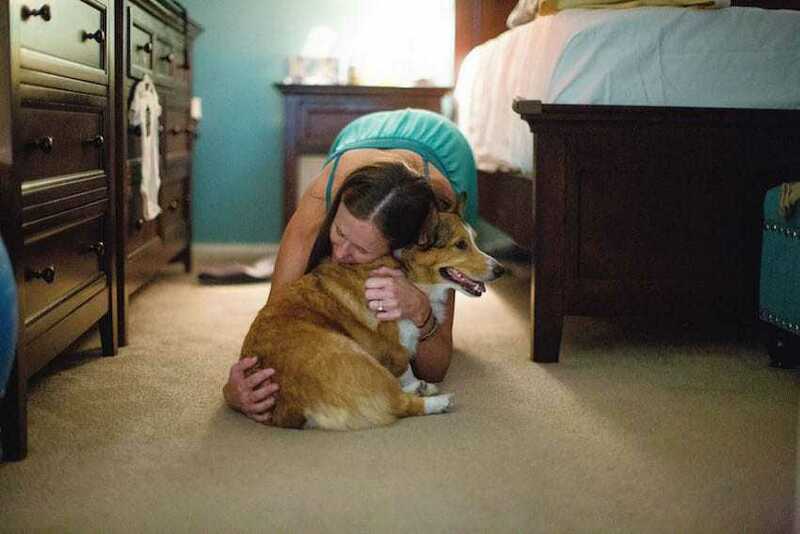 Ranger the devoted corgi has been Brooke’s companion ever since he came into their family. When Brooke became pregnant, Ranger showed huge interest in her growing belly. 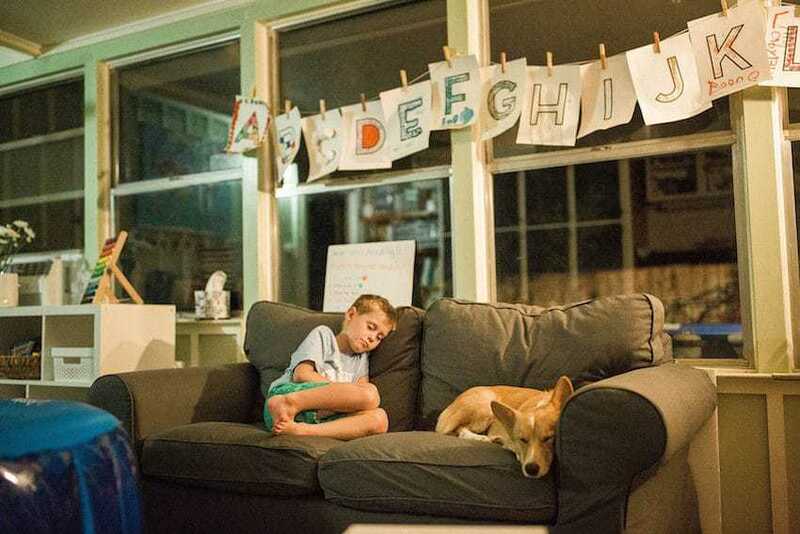 It became clear that he was eagerly anticipating the arrival of his baby sister too. But it wasn’t until Brooke received the home birth photographs that she realized the extent of Ranger’s devotion. Ranger turned up in every photo from the day. Whether he was by Brooke’s side during contractions or comforting her sons during the waiting time, Ranger played a huge role. He was such a calming presence for me because he would just stop by checking in and put his wet nose against my face. I would instantly relax when he sat by me, and I even remember talking to him in between contractions. 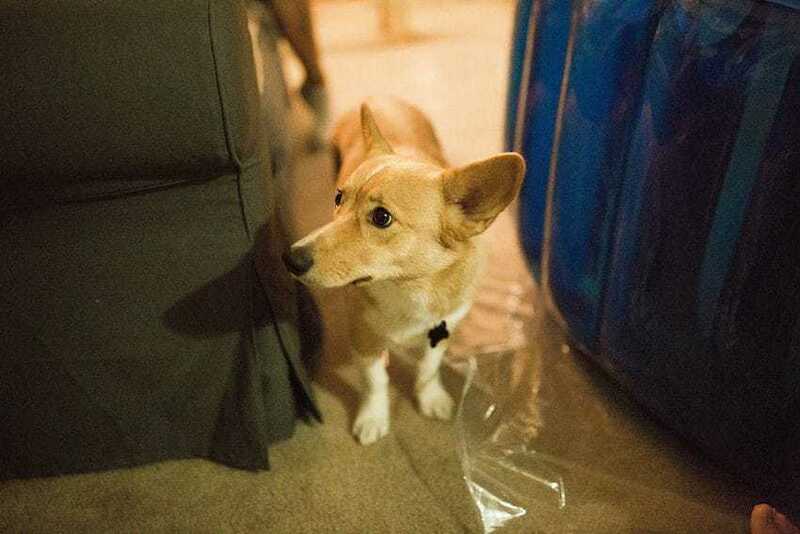 I thought he would hide under the bed the whole time, but his loyalty to all of us during this process really shined. When it came time for Brooke to start pushing, Ranger rushed to her side and remained there until Berkley arrived safely into the world. 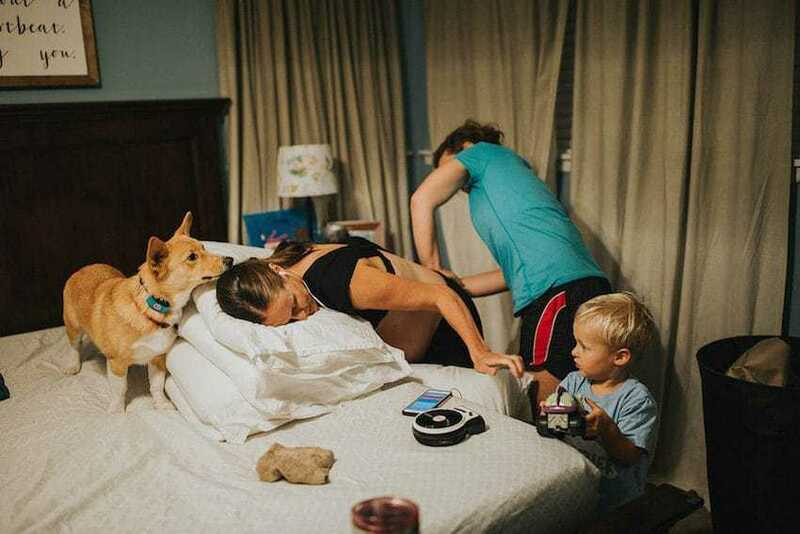 Ranger the dog gatecrashes home birth photos and it is too adorable! Even though Ranger was extra attentive during my pregnancy with Berkeley, it still came as a surprise to see how close he was to me during my labor. The moment Berkley was born, Ranger jumped up on the birthing pool and welcomed his new little sister. 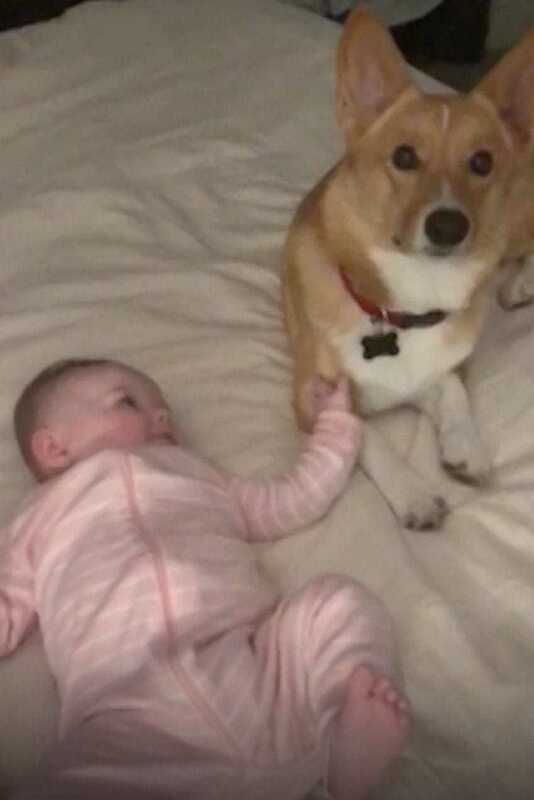 Months on and Ranger is just as in love with Berkley as he was during the time she was being born. He has himself a new little companion and follows her everywhere to make sure she stays out of trouble. It wasn’t just Brooke that Ranger touched the heart of that day. He also left a lasting impact on Kristin the photographer. I pay more attention to the small things that I photograph now that I ignored before. You never know what can be special to some people that they haven’t noticed themselves yet. I don’t know about you, but my heart can barely handle the cuteness! We all need a devoted dog like Ranger.